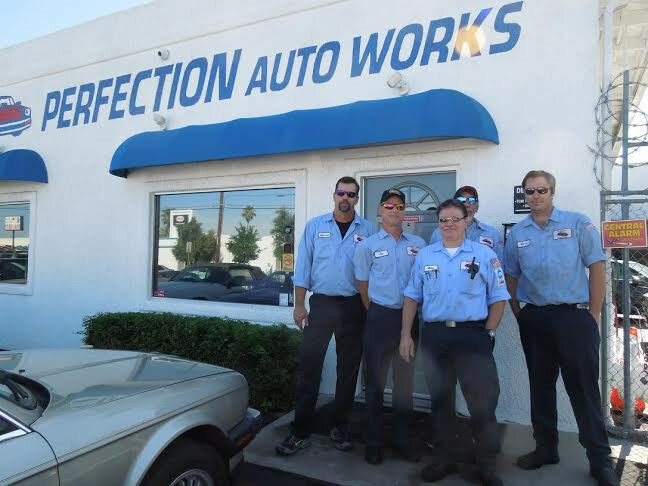 Perfection Auto Works is Tucson's leader in QUALITY and AFFORDABLE Volvo repair and service. 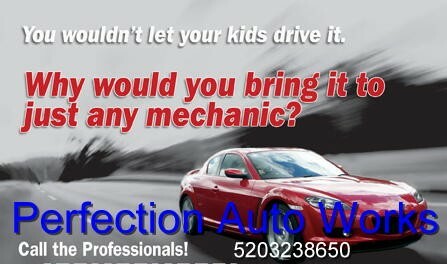 Perfection Auto Works has been in business for over 20 years, and we employ Master Service Techs with the same techs for over 10 years! 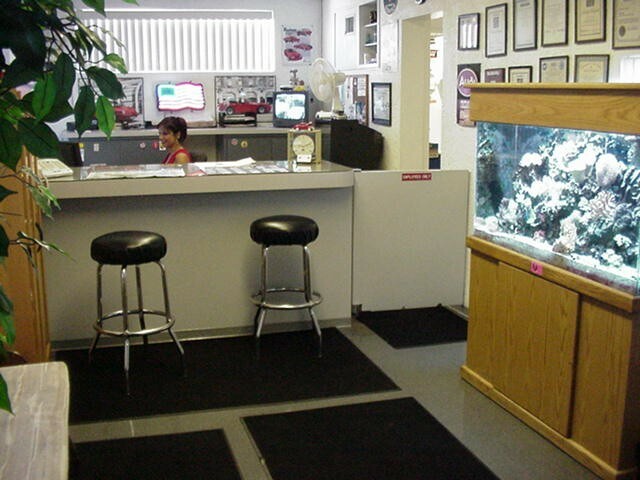 We offer a FREE 26 point inspection, and FREE OBD diagnostics with every visit! 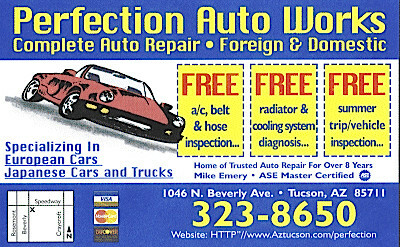 You cannot get better service or better pricing ANYWHERE in Tucson. We offer a 1 year, 12,000 mile warranty on all repairs! We speak Volvo, and you should seek Perfection! Free towing with major repairs, and yes we also work on BMW, Mercedes, Porsche, Audi, Volkswagen, Lexus, and Infiniti! 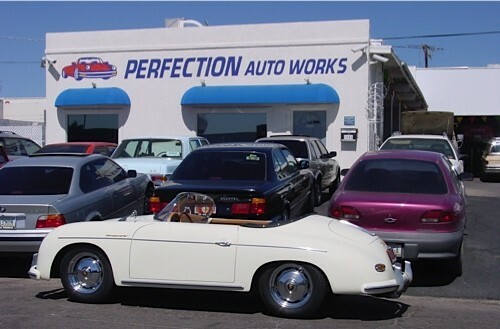 Perfection Auto Works was recommended to us by our daughter's auto mechanic in Orange County, California! Mike looked after his sons' cars while they attended U of A. We were pleased with the recommendation. Mike did extensive repairs and maintenance on our 2004 Volvo XC70. It now drives and rides like new. 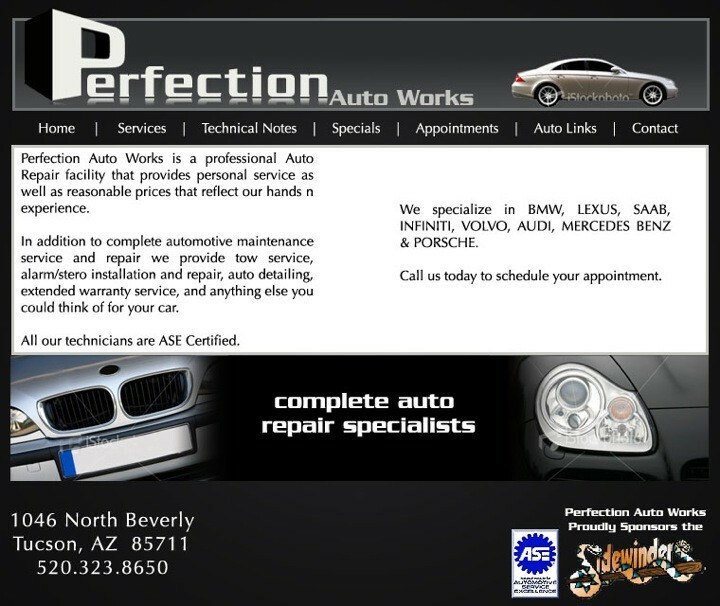 We recommend Perfection Auto Works highly. Thanks so much for inspecting my daughter's Volvo for her in such short notice. Your service and knowledge was beyond of what I expected. Next time there is a service issue you will be on the top of our list.